Pirlo's profile could not be much higher, having competed in the Champions League final in May 2015 and then embarking on a new career signing with MLS side New York City FC in July 2015. 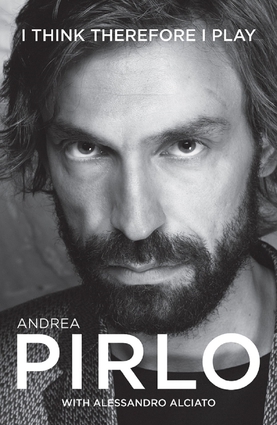 The vibrancy, humor and vivid insight that carry Pirlo's autobiography along confounds his image as a dead-eyed assassin on the field of play. All the big names are in there: Lippi, Ancelotti, Conte, Maldini, Shevchenko, Seedorf, Buffon, Kaka, Nesta, Costacurta, Gattuso, Berlusconi and Ronaldo ("the real one"). But they're not always in their work clothes. We hear Berlusconi playing the piano and telling "various types" of joke at Milan's training ground. We see Pirlo and Daniele De Rossi drawing Nesta's ire as they take him on a mystery tour of the German countryside in a hire car days before a World Cup semi-final. And we smell the aftermath of Filippo Inzaghi's graphically described pre-match routine. Andrea Pirlo has been the playmaker for each of Italy's big three clubs—Inter, Milan and Juventus. He has won the Champions League and the World Cup. He reinvented his position, playing deeper than any playmaker before him and using a wider passing range. He is also one of the best free-kick takers in the history of soccer. In July 2015, he signed for MLS side New York City. Alessandro Alciato is also the coauthor of Carlo Ancelotti: The Beautiful Games of an Ordinary Genius.